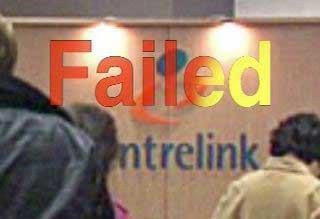 Withholding welfare payments is unlikely to fix the causes of family dysfunction: Australian Council of Social Service. This morning Prime Minister Kevin Rudd said that the Government made no apologies for the hardline approach. The Federal Government has Western Australia and the Northern Territory on board to trial its new program to cut welfare payments to the parents of children who do not go to school. Parents in the trial areas who receive income support will be required to prove to Centrelink that their children are enrolled and schools will also be asked to provide attendance information. The Greens have condemned the scheme. Senator Rachel Siewert says the Greens do not support an approach which is punitive. "It won't generate the outcomes they say it will," she said. "What are they going to do about the children that aren't coming from low-income families or families on income support? "This is about punishment, it's not about an education revolution that the Deputy Prime Minister is talking about."